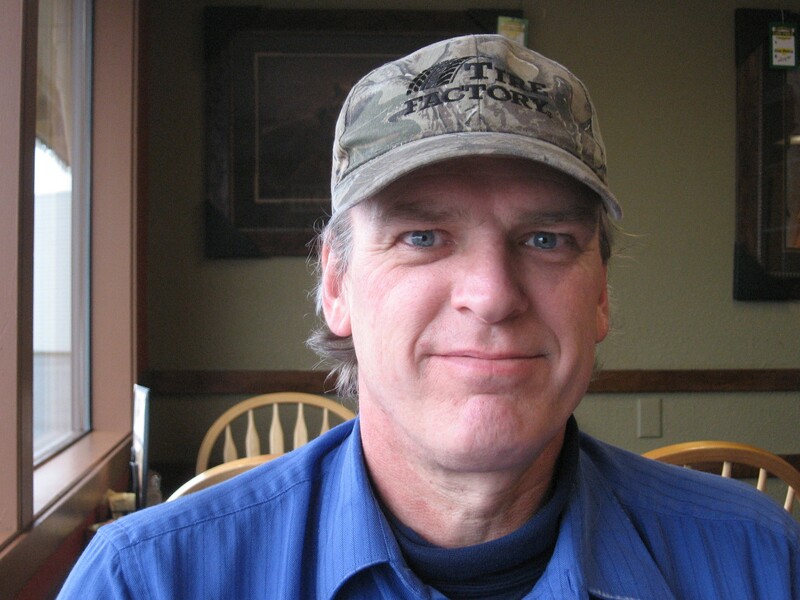 In March 2006, Yelm resident Anthony Latoski suffered a heart attack. He was 42 years old. Since that time, he has been applying a variety of “focused thought” techniques that he learned at Ramtha’s School of Enlightenment (RSE) to reverse the effects of a complete blockage in his left coronary artery that shut off the supply of oxygenated blood to a large portion of his left ventricle. The deprived tissue then died and began calcifying. In addition, multiple blood clots were released into his system that were life-threatening. “I had the heart of a dead man,” Anthony told the Mountain News with a mixture of smirky nonchalance and a good bit of somber awareness that he is fortunate to be alive. Anthony Latoski, pictured, has made vast strides in healing his heart using Mind As Matter techniques learned at Ramtha's School of Enlightenment. Anthony then began a campaign of healing his heart with an assortment of disciplines taught by Ramtha and the staff at RSE, practices that include a “power-breath” seated meditation known as Consciousness & Energy (C&E) that combines specific breath and postural mechanics to alter brain and body physiology while holding a mental picture of the intended outcome – in Anthony’s case, a healed heart. Ramtha teaches the novel concept of Mind As Matter, whereby focused thought becomes physical reality. Thus, in Ramtha’s model there is no struggle for mind over matter. Rather, it is the divine within each of us – the God – that is the ongoing creator of the reality we experience. Anthony also used a discipline which applies laser-sharp focus while walking. He also practiced holding his healing thoughts while lying in a trance-like state in bed, a technique called Twilight. At the same time, Anthony partnered with his cardiologists and other clinicians to engage the best that traditional American medicine can provide. Along the way he experienced doubts, set-backs and triumphs, and five years later his heart is pumping over 50% more efficiently than at the time of the incident, and a very serious – and large – clot formation in his left ventricle has completely disappeared. The journey had many twists and turns, though. To begin, Anthony says that the heart attack occurred in Los Angeles while he was attending to some personal business. On a Monday, he felt a sharp pain in his chest, and for the next three days he was unable to keep any food or drink in his system, vomiting repeatedly. Yet, he was able to function in the other areas of his life. He never thought that he was having a heart attack – after all, he was 42 and in good health. “It was a very sharp, intense pain, like when I’ve pulled a muscle on my rib cage,” Anthony said. Nevertheless, he managed to limp along for the next ten days. However, he had been in the Ramtha School for a year and had been applying the teachings of Ramtha, especially the C&E, and focusing passionately on his health and well-being in a general, non-specific way. “I know that those disciplines were the only reason I survived for those ten days,” Anthony said. After struggling in LA for about a week, Anthony returned to Yelm, and a few days later he experienced a crippling pain in his right leg, and that sent him to the hospital. As a six-year veteran of the US Army, Latoski sought medical treatment at the American Lake Veterans Administration hospital in Lakewood, Washington. There, they found the pain in his leg was caused by a giant blood clot triggered by a heart attack. In addition, his cardiac EKGs were so abnormal that the clinical staff transferred him immediately to Madigan Army Hospital, located nearby at Fort Lewis. At Madigan, surgical teams swarmed into action. 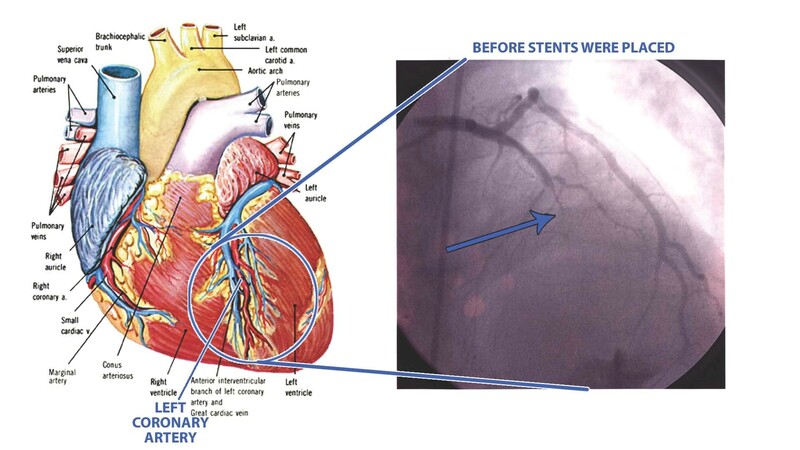 First, they found the blocked artery – so filled with a thrombus, a clot, it took three “stents” to bypass the blockage. These stents are tiny devices that can expand the diameter of an artery and allow blood to resume flowing. However, inside the left ventricle a second clot had now formed, measuring an incredible 5.8 x 2.1 cm in size. After the stents, surgeons removed the clot in the leg, a complicated process that left Anthony unable to stand for three days, and with its removal one danger was resolved. 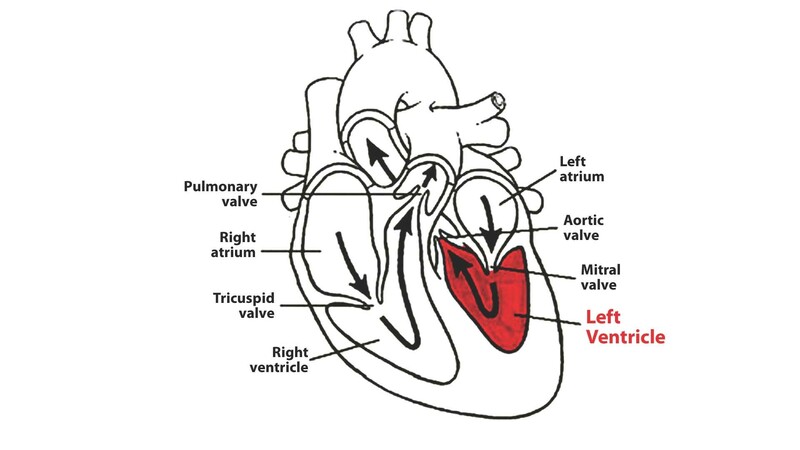 Nevertheless, the other thrombus remained in the left ventricle. Plus, the heart tissue that had been deprived of oxygen was “dead” according to doctors. As the doctors went to work, so did Anthony. “I lay in bed doing Twilight and focused on a ‘speedy recovery’ and ‘leaving the hospital quickly,’” Anthony said. His condition was grave. With each beat, a normal heart pumps about 60% of its blood, and Anthony’s heart was exchanging about 20-25% when he entered the hospital. After the placement of the stents, this fluid exchange improved to 30-35% of the total volume. In response, Anthony made two decisions. One, he would let the doctors and their medications do their wonders, and two, he would engage his disciplines to enhance his recovery. After a week in the hospital, Anthony went home to Yelm and furthered his efforts. As for the customary medicine, Anthony took a regimen of Coumadin, a blood thinner, to dissolve the thrombus in his heart. As for the application of focused consciousness, Anthony concentrated on maintaining his levels of “vital energy” along with improving his general health. But, strangely, his focus was not specific to healing his heart. In effect, Anthony was uncertain about the power of his focused thought and the truth of Ramtha’s teachings. For the next two years, Anthony’s recovery was generally static – the thrombus was still in his heart, although smaller, but his cardiac output had not increased. Also, none of his heart tissue had regenerated. “I decided that the doctors and the drugs were maintaining my health, but they weren’t really healing my heart, so I contemplated using the disciplines to do just that,” he said. By 2010, his echo-cardiograms showed that his cardiac output had increased to an exchange rate of 40-45%, which is an 18% improvement in one year, with the only change to his treatment being a more robust focus – and increased acceptance of his power to heal his heart. In addition, the size of the thrombus was fluctuating. In 2008, it was down to 5.0 x 1.2 cm – due presumably to the Coumadin – but in 2009, the thrombus was up slightly, to 5.6 x 1.7. “Since the prior report of 8/10, previously noted large apical mural thrombus is no longer present,” cites his medical record. “At each step I was building my confidence in the disciplines,” Anthony said. Anthony acknowledged that he had known “intellectually” that the Mind As Matter teachings of Ramtha do work, particularly after having years of conversations with fellow RSE students, but a deeper, more complete acceptance of the power of focus seemed to be required, and that was what Anthony now sought to achieve. Buttressed by this achievement, Anthony has now stepped up his focus. He seeks to completely heal his heart, including the dead tissue. Further, as of his December 2, 2011 check-up with his cardiologist, Anthony learned that his name has already been removed from the transplant lists as a result of his increased cardiac function and the complete dissipation of the thrombus. Nevertheless, he has been advised to remain on all of his current medications. Along those lines, Anthony says that his doctor claims removal of a defribulator from a young person is unprecedented and recommends keeping the device in place until the batteries wear down, at least, which will be many years in the future. However, Anthony says that his doctor also directed him to speak about the potential of future removal with the technician at his defibrillator-checkup appointment in January 2012. Anthony says that his echocardiogram showing the increased cardiac fluid exchange rates has “locked-in” his acceptance. Even Anthony has more work to do in this area, as his teeth clearly need some attention and he drives a pick-up truck that is a serious clunker. “Yeah, I had to give up on focusing on fabulous wealth – I had too much mind chatter, too many distracting thoughts,” says Anthony, with a laugh. Now, Anthony’s journey is taking the next big step – healing the damaged parts of his heart, specifically, the tissue that died in 2006 when deprived of oxygen. Consciousness & Energy®, C&E®, Mind As MatterSM , Ramtha® and Twilight® are trademarks and service marks of JZ Knight. Graphics courtesy of RSE. Used with permission. This entry was posted in Culture, People Profiles, Remarkable men and women, Science and Technology, Self Reliance, Spirituality, Yelm News. Bookmark the permalink. To anyone reading this wonderful story, even if you have no idea what the disciplines are that Ramtha teaches, use the focus technique. For the few days that I was in Ohio in November, my 26 year old grand daughter learned to walk, looking at a place on the horizon, and repeating, “I will know what I have not known.”and “I will see what I have never seen.” She grasped the significance of it the first time she walked across the hospital corridor where we were visiting my son, (her uncle) Bob. Within a few days she took on a project she would never have done before. Wow. I’d like to know more about that.